DHA Gujranwala chapter was the first to be announced and rightly so , it is located in central Punjab , Gujranwala is an industrial hub of Pakistan and is in close proximity with the cities of Sialkot , Gujrat, Kharian and Jehlum. This belt is responsible for a lot of recruitment within Pakistan Military and therefore the need to provide the people serving there country a home closer to there home cities. DHA Gujranwala features a 18 hole golf course, business square, commercial mall, sports complex and self power generation so you never have to worry about power outages anymore. It will offer modern living such as international standard school and colleges, medical college, world standard hospital, recreational parks and much more. Gujranwala is the 7th most populated city in Pakistan with a population of almost 3 Million. It is an industrial city with a huge business background and community. Presently only a few regulated societies exist in the area which including DC colony and City housing. There is a huge gap of a modern elite housing societies as offered by DHA. Not only this but we must take into consideration the surrounding areas of DHA Gujranwala, its close proximity with Lahore, Sialkot, Wazirabad and Gujrat. This makes it a hot bed of investment in the general area and offers an alternative real estate investment opportunity for the local people. 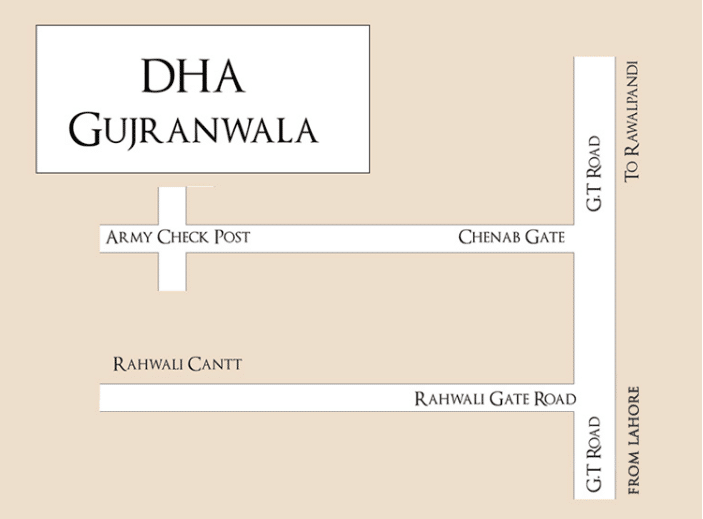 DHA Gujranwala is located adjacent to Rahwali Cantt Chenab gate some 8 to 12 Kms from the main Gujranwala city. It will have multiple entrances directly from GT road and an entrance directly from Gujranwla Cantt. Presently only 10 Marla and 1 Kanal residential files are available for sale on cash payment. DHA Gujranwala Management has opened a transfer office (Sub Office) in DHA Lahore and it is indeed a superb News for DHA Gujranwala Investors/file holders.The office has started its operations from 30th July 2018 and it is located in Main boulevard DHA phase 6 Lahore having building number 133-MB, adjacent to The Bank of Punjab. DHA Gujranwala Lahore Office will provide ease for new buyers/sellers living in Lahore and surrounding areas who can transfer their files easily now and look after the other DHA Gujranwala related official matters from Lahore office. Opening of DHA Gujranwala Lahore Office will definitely help in boosting a trade activity in Gujranwala DHA in times to come.We at Imlaak are actively dealing in DHA Gujranwala since its launching.Please feel free to contact us for your queries. 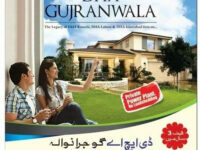 DHA Gujranwala has launched 5 Marla plots on installments. The application forms can be downloaded from DHA Gujranwala website . Forms are also available at DHA Gujranwala office as well as branches of Askari Bank, Bank Of Punjab, Soneri Bank, and United Bank Limited. Balloting will be held and files will be given to successful candidates only . DHA Gujranwala office is being shifted on main GT road outside of Rahwali Cantt and expected to remain close till 18th of Dec 2017. This is being interpreted as a good news for all the investors of Gujranwala DHA as this will facilitate them and DHA office will become more accessible. Gate unveiling ceremony is expected soon as well and rumors of balloting in 2018 are also now circulating in the market. Why invest in Gujranwala DHA? The first question you may ask yourself is why to invest in Gujranwala DHA. We have already determined that Gujranwala needs modern housing societies and a lot of people may look forward to building a house there in future. In order to understand that you must know the prices of plots in the other areas of Gujranwala and how that will play out for DHA. Firstly DHA Gujranwala is located adjacent to Rahwali Cantt. The Cantt offers limited land and areas for living and is generally very expensive. In most areas the price of 1 Kanal of plot is around 20 Million ( 2 Crores ). Secondly the only worth living private society is City housing where a 1 Kanal plot is roughly between 12 to 15 Million PKR. It is very clear that the prices of DHA will rise above any other private socities in Gujranwala, this very fact makes it a very attractive investment where you can expect a file to gain 4 or 5 times in next 6 to 7 years time. Its location is also another attraction as people in Lahore and Islamabad feel much more relaxed to invest in Gujranwala rather than Multan because of the travelling involved. DHA Gujranwala is a project which is suffering delays because of land procurement. The very reason that its price has always been below DHA Multan. 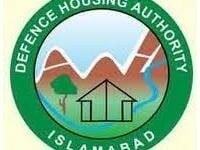 However the Defence Housing Authority is now pushing hard to complete the process as soon as possible and launch the said project. In my humble opinion DHA Gujranwala has a huge potential of growth in days to come and the file prices may go higher than DHA Multan once the project gains solid footings. DHA in Gujranwala has yet to launch files on installment as done by its predecessors in Multan, Bahwalpur and Peshawar so there are still a lot of jumps left for the prices to go higher. If balloting is done in next year or so the prices of plots will easily go up to 75 to 85 Lacs and will be above 130 Lacs nearing possession. In my opinion if you are a local resident than its best to buy and hold it for long term and sell it after possession or build your own house in future. However if you are not a resident of any surrounding areas or Gujranwala than you should follow any of these strategies. The best time to buy are before plot balloting and the best time to sell will be in 6 months to 1 year after balloting. This will yield you the maximum profit in a short time period. These are the best strategies if you are not investing in Gujranwala to build a house and will give you maximum profits in short time periods.